Reserve offensive lineman John Greco has done the best he can to service the line in a similar fashion to Brett Jones in 2017. The New York Giants‘ reserve isn’t the biggest or strongest lineman on the team, but he certainly is the most versatile. 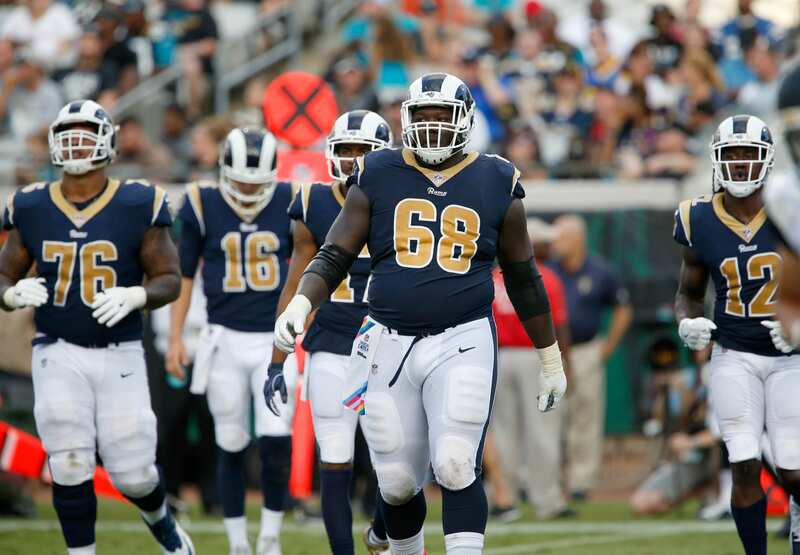 He can play center or guard, but ultimately he can’t do it all on his own, and that’s why former Rams guard, Jamon Brown, was brought in on waivers to fill the void. With Spencer Pulley filling in at center for the last two games, the Giants have been more vulnerable than ever. Brown will offer the Giants a bit more strength at right guard, where the Patrick Omameh experiment failed miserably. General manager Dave Gettleman allocated a heavy sum towards Omameh – three-years, $15 million. Bringing in Brown will offer more continuity on the line, and to be quite frank, any player the Rams are willing to release is likely an upgrade on another team. Head coach Pat Shurmur plans to start Brown as soon as possible following the BYE week. Hopefully, he can soak in enough about the offense to give it a go, or at the very least present value as a reserve for the time being. Brown was only forced out of the starting lineup due to a suspension for violating the league’s substance abuse policy. Moving forward he will contend as a legitimate starter for the remainder of the season and beyond.